This year of running has been much different for me than years past because I was more focused on staying injury free than anything else. The greatest thing that I learned this year was that it can indeed be done. Yes it's going to take time and DEDICATION, but I can do it. I may not be as injury prone as I thought. Like anything in life, you get out of it what you put in. I learned that I actually enjoy running local races! Up until this year all my races have been Race-cations! I've really enjoyed running smaller races. I like the familiar courses and having friends and family there. I learned that I can win AG awards! 2016 was the first year I actually placed in any race. That is a great feeling. I don't know if I'll be able to do it again next year, but that's okay. I enjoyed snagging two AG medals this year! I also have to give credit to Wendy from Taking the Long Way home for confirming a thing or two when it comes to running. I've learned that if you have the right pair of running shoes, there is no need to "break them in". Wendy confirms this. I bought my favorite Mizunos on Saturday and then wore them to the 4th of July race on Monday with out incident! I've also learned that there really is no need to stretch before a run! If you don't believe me, read Wendy's post HERE! And a big Thank you to all of you for your encouraging words and words of wisdom throughout the year. I'm sure both Lacey and I learned a little something from each of you this year. 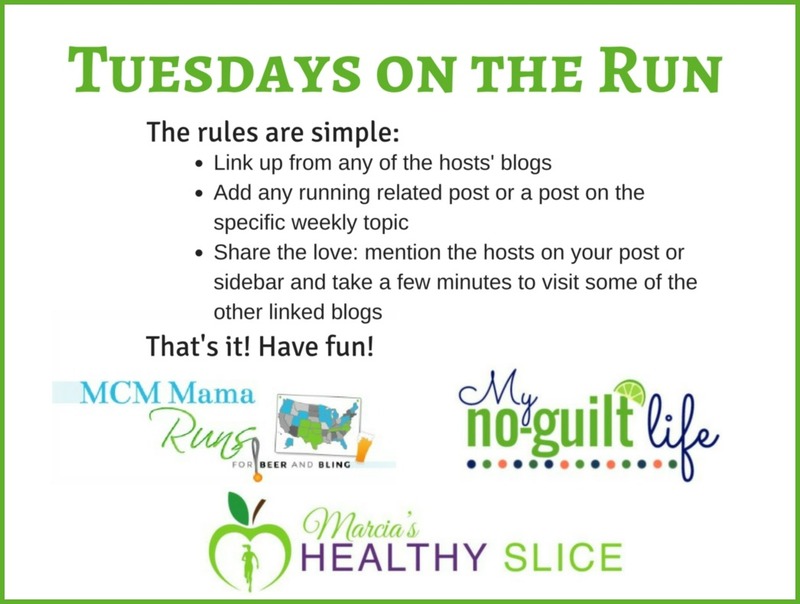 We will be linking this post up with the gals from TOTR. I just got a new pair of shoes and they have been perfect from the get go! I bought my first pair of Altra Torins a couple years ago and wore them in a half marathon the next day and they were perfect too. I never stretch before I run. I am glad I am not wrong about that! I can't do many out of town races so most of mine are usually local and I love doing them too. When you have the perfect pair of shoes, you definitely know, right? You can an incredible year of running, Meranda. I'm so glad that you were able to stay mostly injury free, and in the process, won some AG awards! I can't wait to see what 2017 has in store for you! I've had some achy feet and calves this year but nothing that kept me side lined for too long. I'm looking forward to 2017 as well. 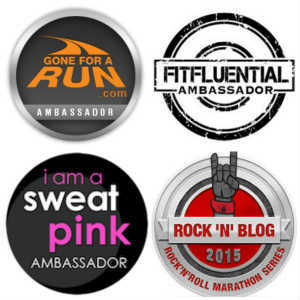 You have had a great year of running! I feel that I'm still learning things about running. Thanks Ana! Yea, I feel like we are constantly learning new things! I've never needed to break in a new pair of shoes and I've been really fortunate - most of the shoes I've bought have worked fine for me. I agree, there are some positive things about running close to home - like not needing to travel with enough clothes for every possible weather change! Being able to make a wardrobe change on race morning is definitely a plus! Thanks Jessica! Wendy gave me some great tips this year! Thanks Michelle! I'm glad it went so well. Thanks Gretchen! I'm getting my plans in place for 2017! So glad your running year went well for you! It's always nice to see things go well, especially after the injuries you dealt with. I bought a pair of shoes at an expo and wore them for a half marathon the next day - no problems there, as they are the shoes I always wear. That was my confirmation that you don't have to break in shoes if they fit correctly. Thanks Shelley, it feels so good to just get out and run and race again and getting back to the way things use to be. I have been wearing those same Mizunos for a while so I felt pretty comfortable wearing them for the race right away too! Wow! Glad I could contribute to your year of knowledge! Thanks for sharing my post. You have had a fantastic year. I can't wait to see what 2017 brings. What did I learn this year? That it is all about finish lines, and not always about finish times. Even though I didn't do anything epic with my race times, I had a blast! Yes, I remember finding your post very interesting! I agree, it's always about the finish line, not the time. I think that's why I never have a bad race ( as long as I cross the finish line). I love local races too. That personal home town feel. Yes, read her post! 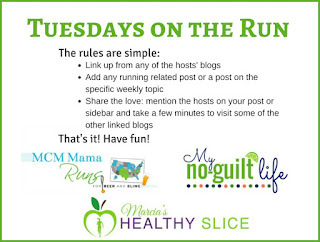 She does some myth busting on running myths! What a great year for you! Congrats on staying injury fee, setting PRs, and getting AG awards! Thanks Jennifer. I really am pleased how the year went! 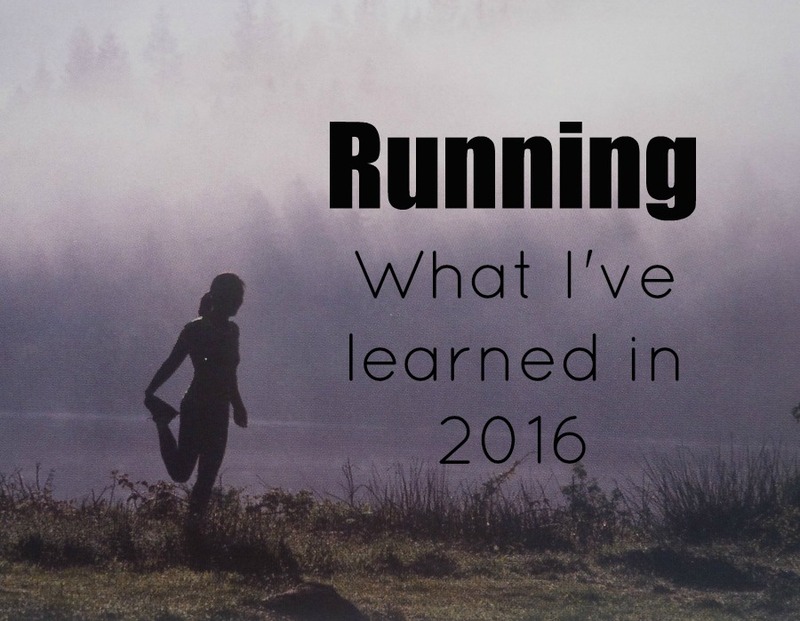 Sounds like you had a great year of running! Those are definitely important lessons. I'm a fan of local races as well. I like to sprinkle them in throughout the year with just 1 or 2 racecations. Yea, I think I am going to limit my racecations since I have found so many great races right around here! They are actually the Wave Rider 18! Since the 19's and 20's are now out the 18's are getting harder to find. I love that style so much that I am trying to snag them up when I find them! I'm hoping I can get down to my PR pace for some other race distances next year. Your running year was certainly productive! Prs, ag awards... and loving local races is definitely a good thing to discover! Do you mind I I write a post inspired by this? I feel like I'd benefit from thinking about whathe I learned this year! I'd love to see you write a blog post inspired by this! Thrilled you were able to stay mostly injury free! It's true about the right pair of shoes, while it's not something I would suggest racing in a new pair, just because even the right shoe could have a flaw in the design. But your right if you know your feet and body any stitching or flaws aside you can make it happen with the right shoes with not having to break them in much to begin using them right away! Oh you'll probably see more PR's, even when you get older. Eventually we all get to start making age group PR's so we can have that to look forward to our senior years if we are still running too! I probably wouldn't have taken the chance in racing in the new shoes if they hadn't been a brand and style I normally wear! I hope there are more PR's in my future but if not, no big deal! Yea, a few years ago I would have never thought about buying a pair of shoes and wearing them to a race all in the same weekend! Congrats on a great year of running with some lessons along the way. How fun to discover local racing! Yes, I even have a few more on my list of one's to do next year! Yay for such a great year! And I agree with Marcia--knowing that you have a local racing scene is the best (sleep in, fave foods after). Congrats on the awards and PR! Thanks Susie! I'm looking forward to doing the same ones over again next year! So much good learned this year :) Congrats and keep it up!! Yea, it really was a good year! My New Balance shoes was a pair that I didn't need to break in. They felt great right away, and I hope the next edition didn't change much. Yea, that's always risky when a new edition comes out! I learned a lot of the same things as you as 2016 was me trying to heal up and injury and stay injury free! Way to go on that PR! I hope to PR a marathon, since my first one this year was no bueno. Good luck at your next marathon! Wendy really is a wealth of knowledge, isn't she! I'm so very glad your enjoying running more and more! You look happy doing it! Thanks Tricia! I hope I am just as happy next year! I'm glad you had such a healthy year of running! With PRs and AG awards and local races (they can be so much more relaxing I think!) and new shoes (I never break mine in either) - All good things! Here's to many more years of running! Thanks Kelly! I hope we all have a great year next year! But the best feeling of all is not being injured and running strong! Not being injured was definitely the best thing about this year! Hey, you might win an AG award! I love not having to break shoes in. When you have the right ones, they just work! So glad you had a great year and got more into some local races, I enjoy them because they are cheaper than racecations. I love small races. They're the best. 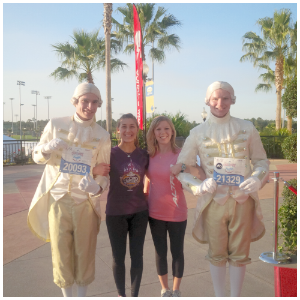 I love seeing my running friends I don't normally run with. I've started loving small races too! And also won my first AG award this year! I've learned that not ever race has to be a "goal race" - and that sometimes it's fun to race with friends, or to support a cause or just because you CAN. 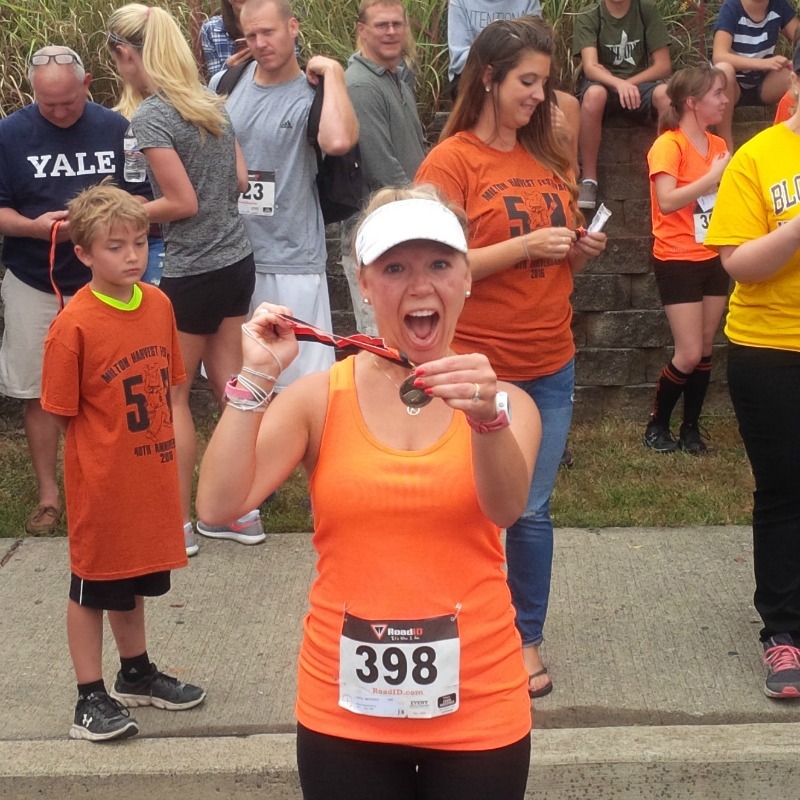 A marathon PR is a reason to celebrate! I am a fan of being able to drive to race for sure! Is there a Friday Five list of topics somewhere?